I started this entry ages ago but then life, holidays, and curious other happenings got in the way. It was difficult time because it is soooooo damn hard to get your feet firmly back in the human world after an event like this. The first day we were back it was through blurry eyes as I watched both of our tired girls headed off to school. They both left with a wry smile on their face. The one that tells you they know they did something special. I am so proud of them it hurts. Ye,s there was homework to makeup, school workbooks to find buried in our traveling circus, and we had everyday time schedules to readjust to. They will either adore their childhood or be in therapy for years. To those of you who were at FaerieCon and found our little Troupe thank you so very much. To the woman on Friday who laughed so hard she snorted you made my day. On Saturday we had some good crowds and were frolicking right along. I must say that our Sunday at 2:00 show was the highlight of our weekend. Lots of kids, lots of laughter and spontaneous dancing in front of the stage. Nymbol’s wee little heart is ready to burst when that happens. 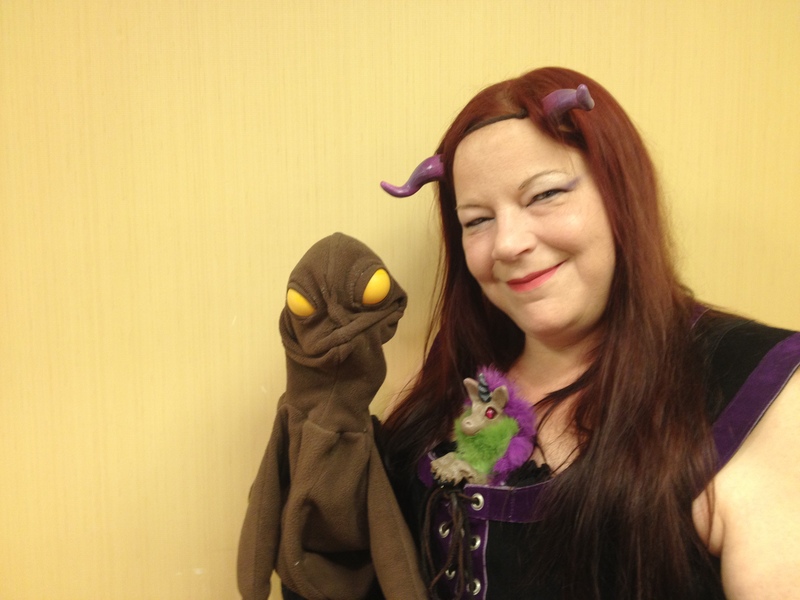 A huge thanks to everyone that participated in FaerieCon’s got Talent. I apologize for our part being a little rough around the edges but we will have the sound, stage and timing sorted for next year. There is nothing to say about the folks who got on stage and shared their talents other than,……… Your all Freaking AMAZING. I will never think of Kenny Rogers “The Gamber” the same. Please lets do it again next year.